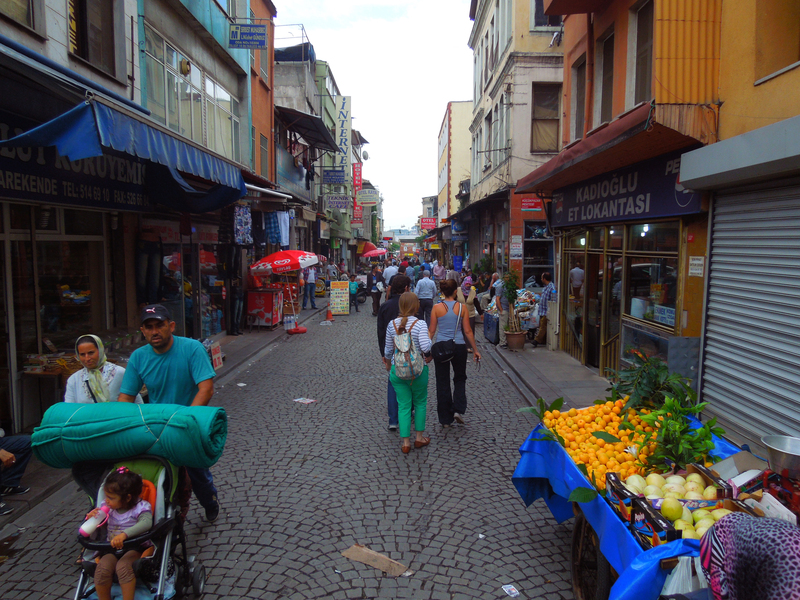 One of my favorite things to do in Istanbul was to peruse the markets. 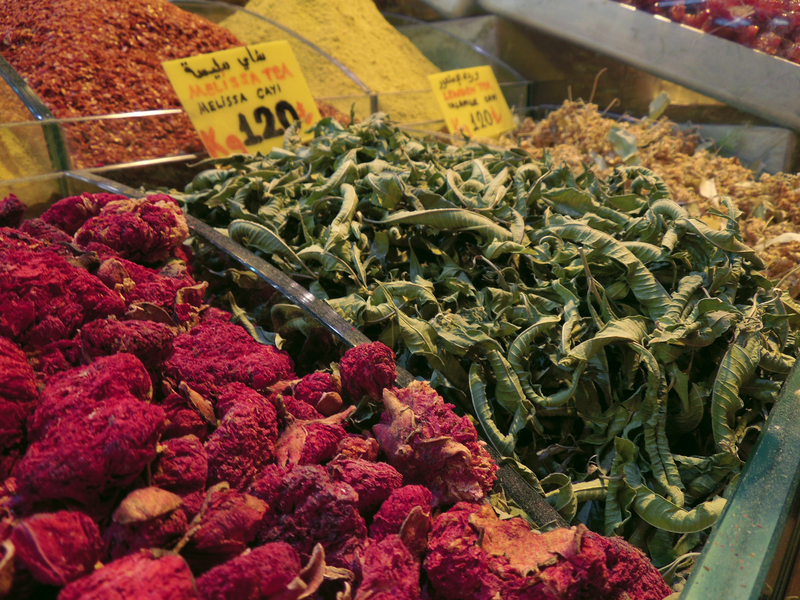 Whether we were shopping or just walking through, it was wonderful to see so many varieties of foods, spices, teas, and handmade goods. 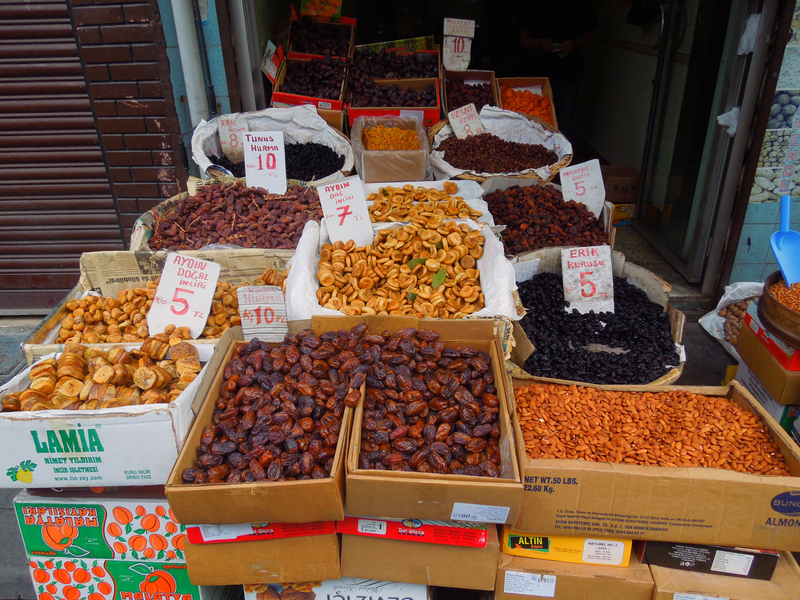 I was constantly tempted to stock up on all sorts of things I never would have had enough room for in my suitcase! The first one we came across, and maybe my favorite, wasn’t even really an official market. 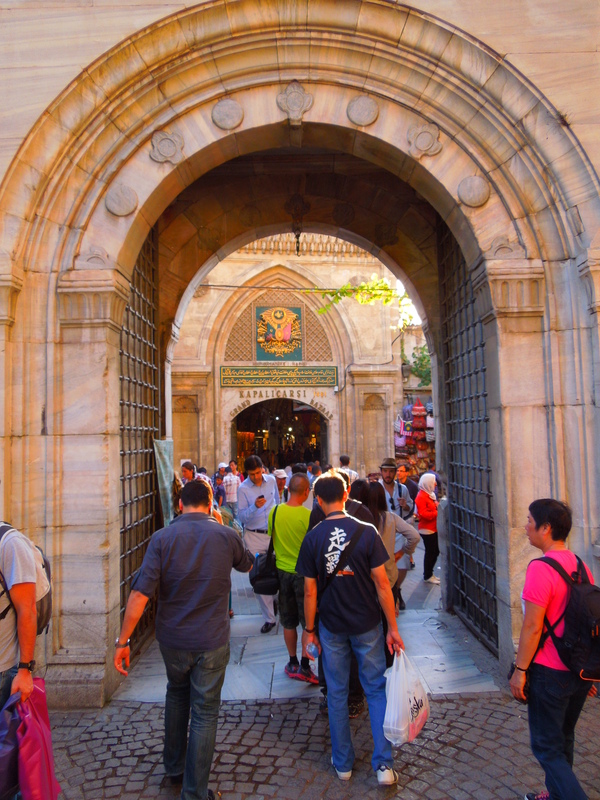 We were wandering around trying to find our way to the Suleymaniye Mosque and ended up strolling through an area of town that seemed relatively untouched by tourists. 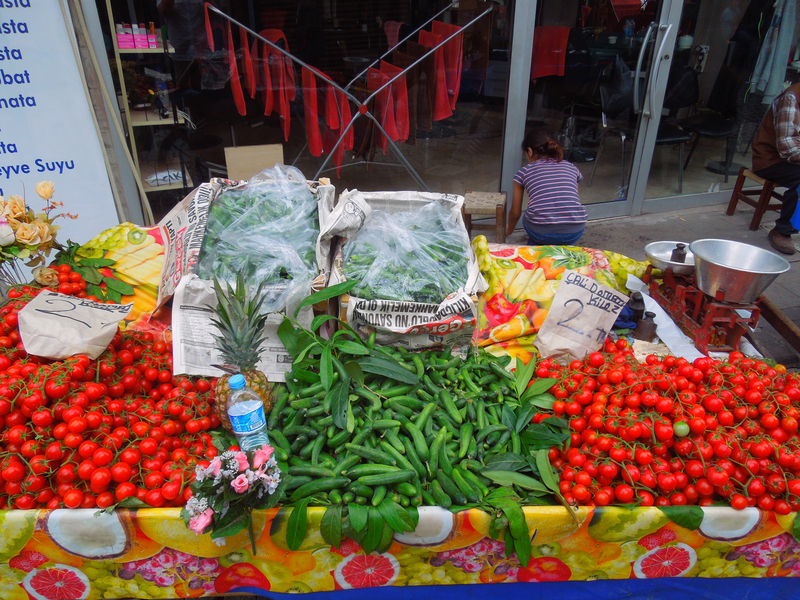 All along either side of the narrow road were tables set out with local fruits and veggies for sale, all for a very reasonable price. 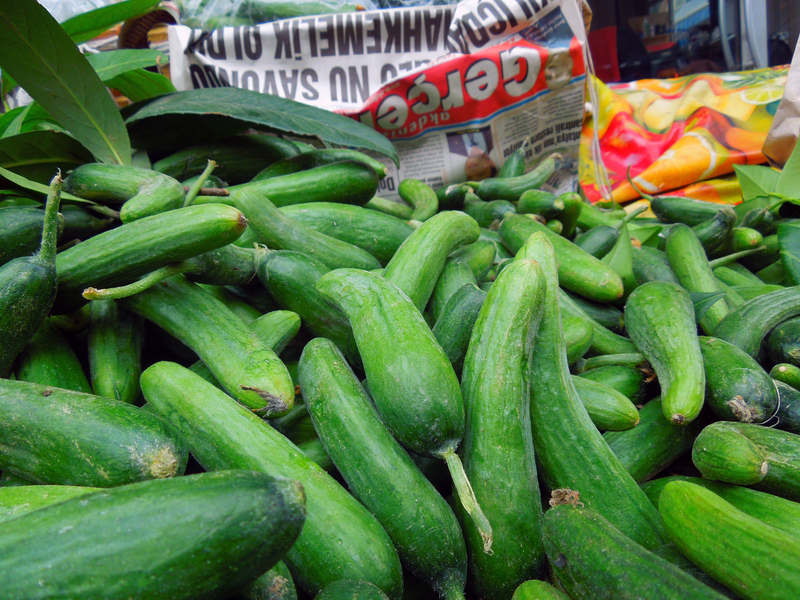 The colors of the veggies were so vibrant! 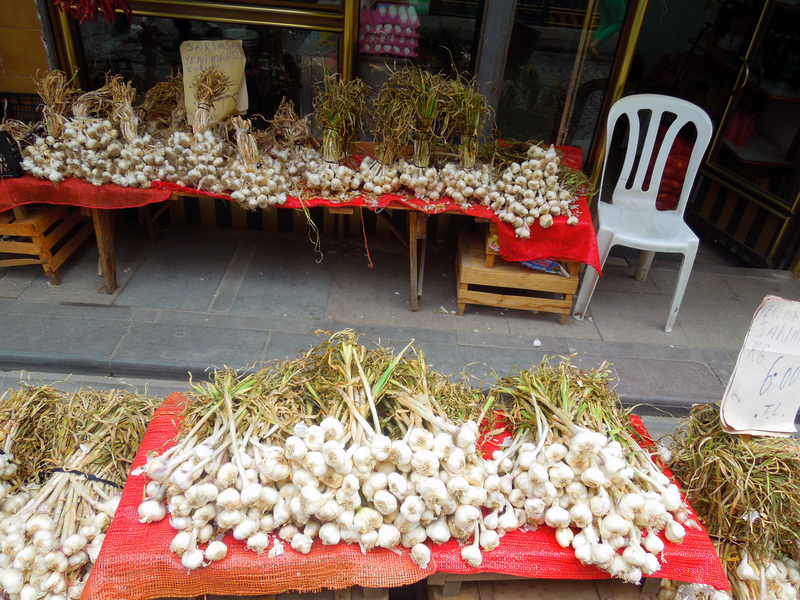 I’d never seen so much garlic in one place as this little set-up. 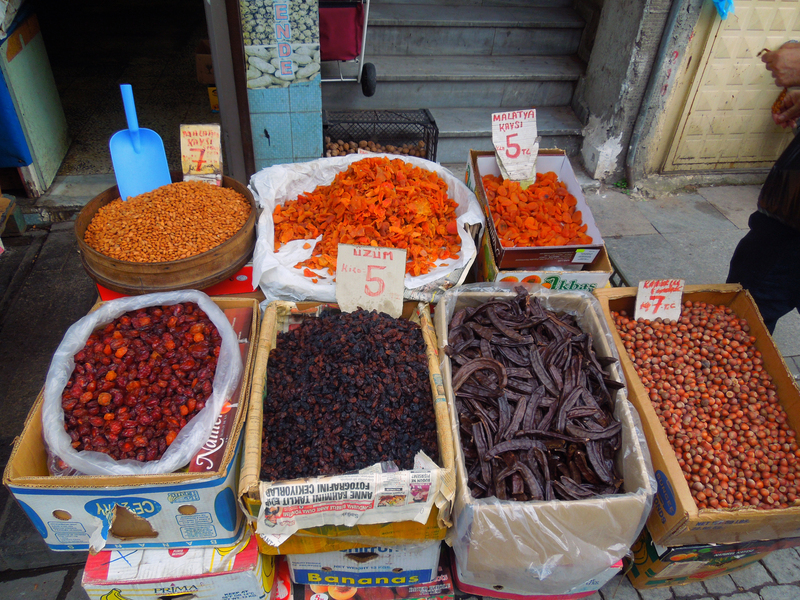 Dried fruits and spices smelled so delicious as we walked by! 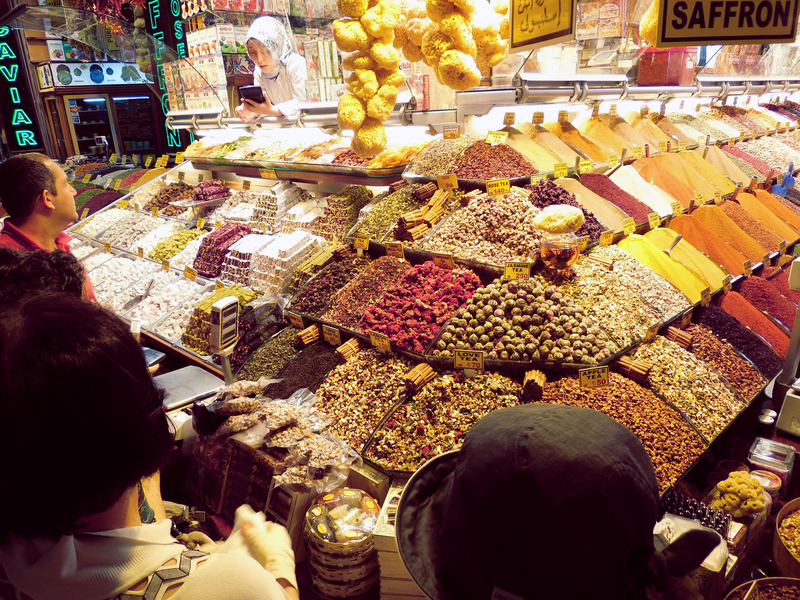 The next day, on our way to the Blue Mosque and Basilica Cistern, we found ourselves walking through the middle of the Spice Bazaar. 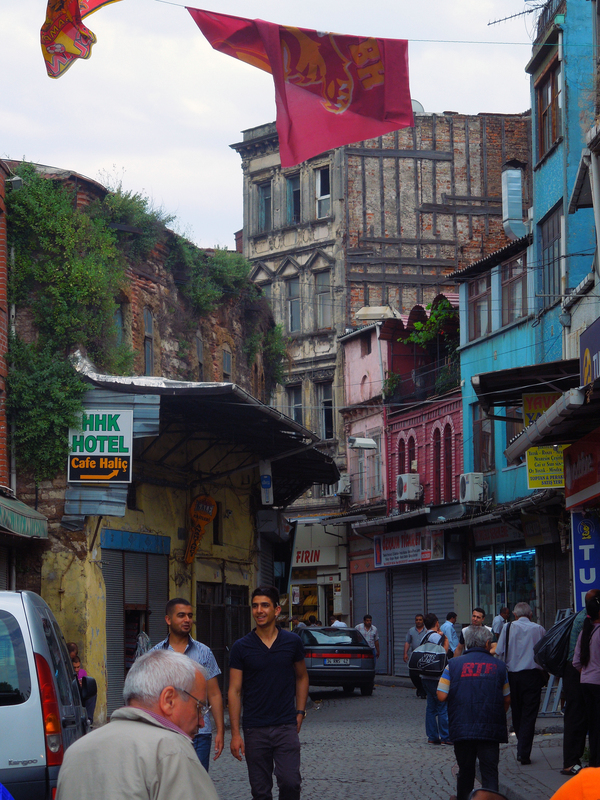 We passed through here quite a few times during our stay in Istanbul, since it just happened to be right in between our apartment and a lot of the sites we visited. 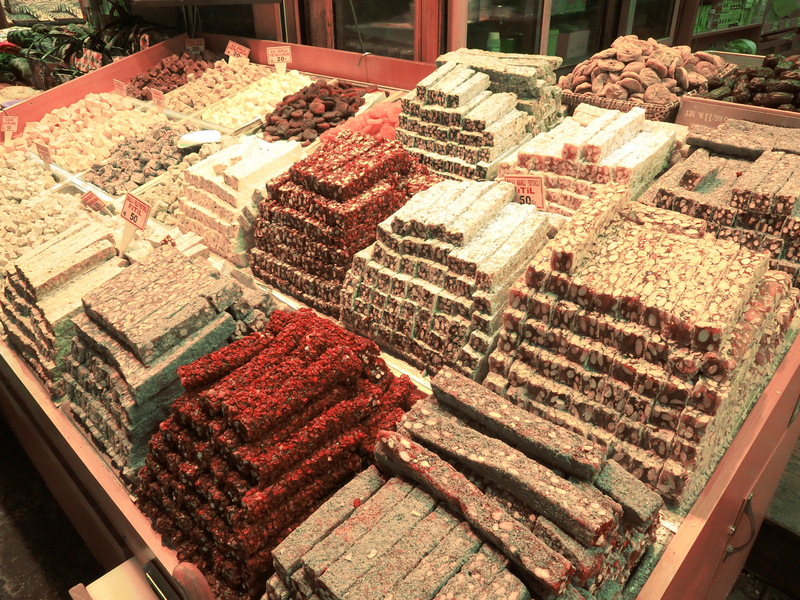 Sure, there were lots and lots of spices around every corner, but it was also easy to find turkish candies and sweets, and rows upon rows of beautiful teas. 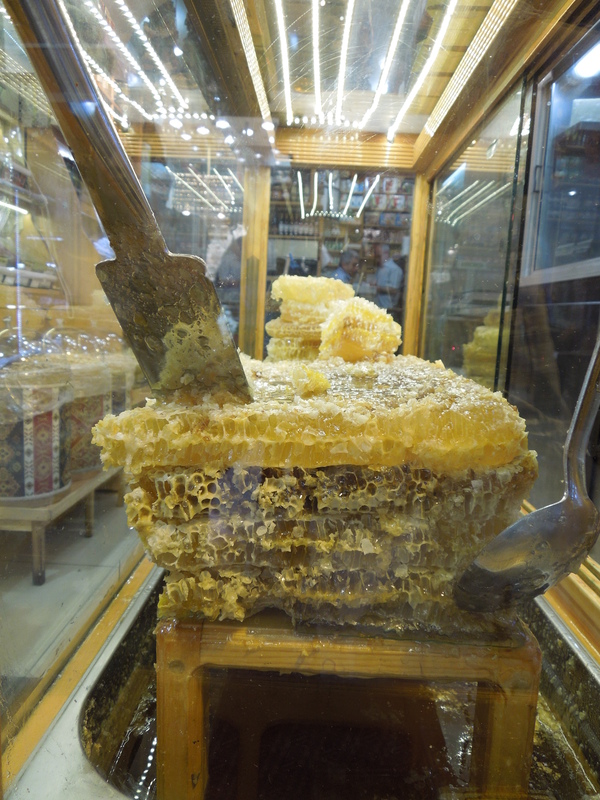 How about this beautiful raw honey comb! 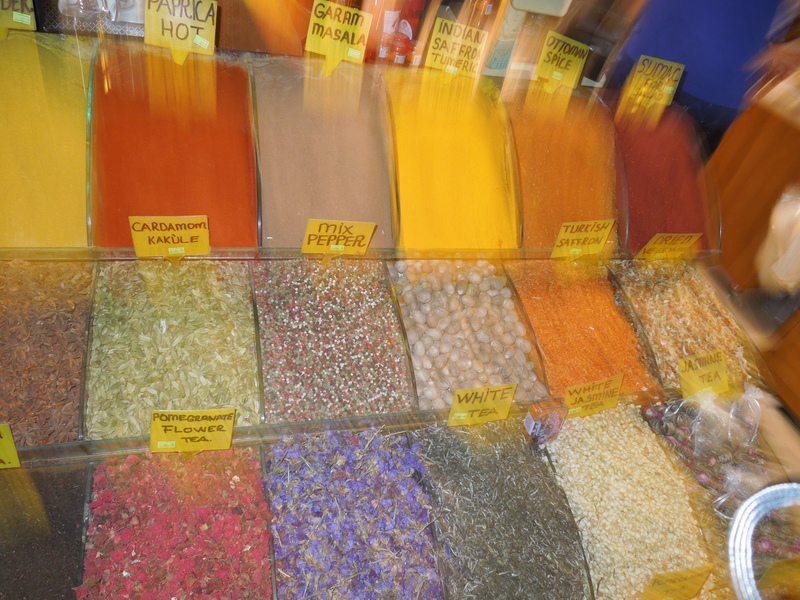 Not only foods, in the Spice Bazaar there we plenty of vendors selling dishware, linens, and scarves. 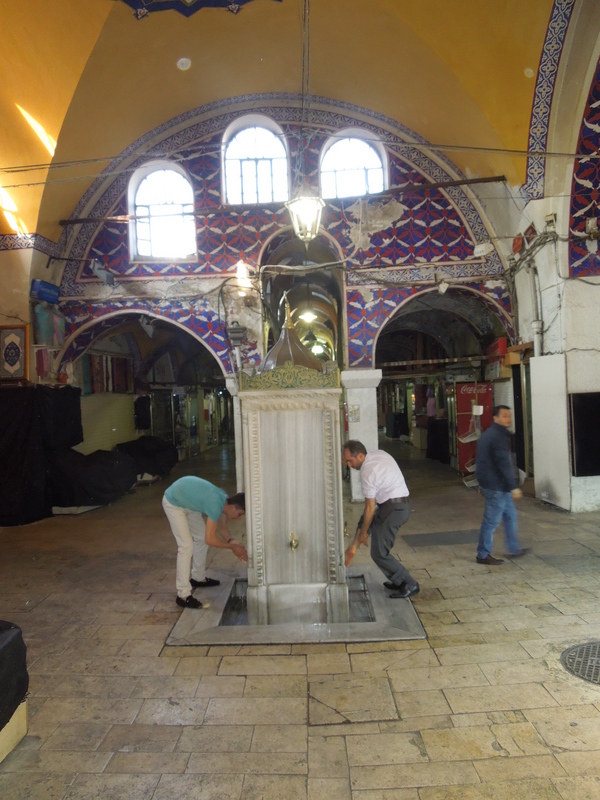 Admittedly some of them seemed intended to draw in tourists, but there were still lots of wonderful treasures to be found. 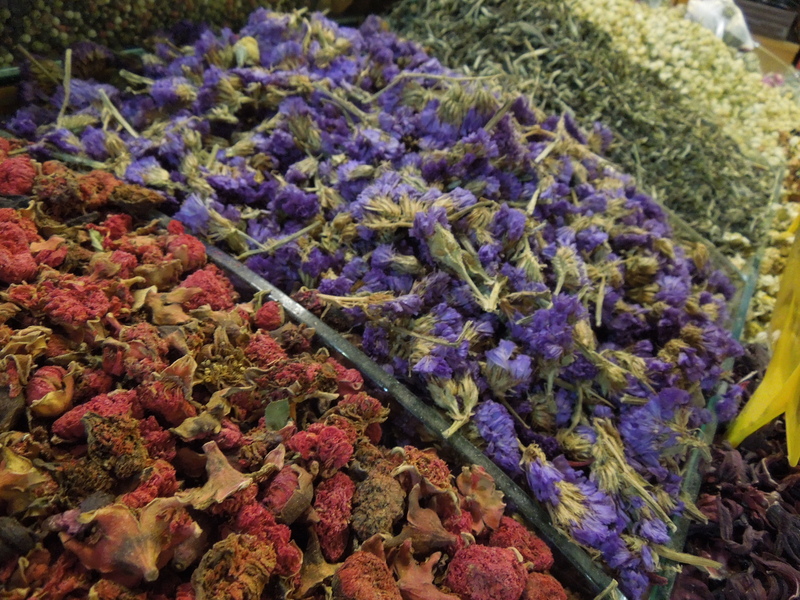 All the beautiful spices and teas made the whole bazaar so colorful! 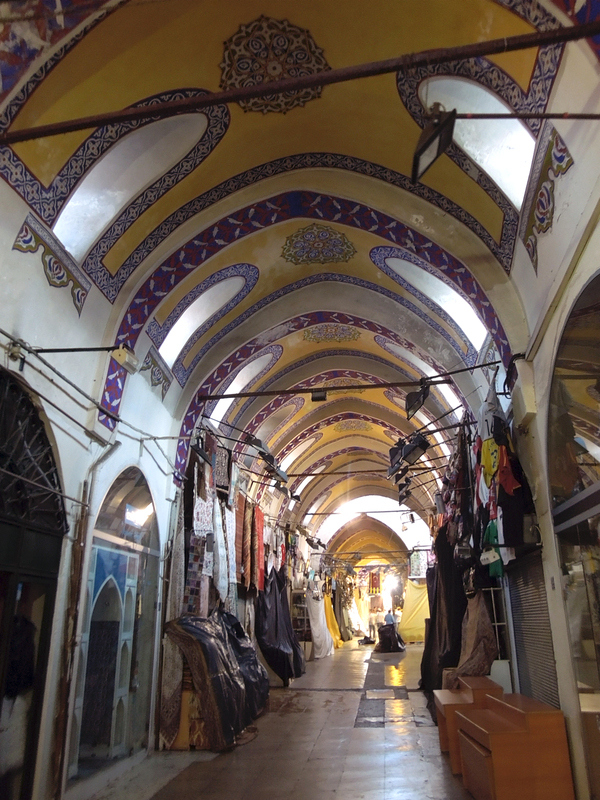 We made sure to stop by Istanbul’s famous Grand Bazaar, which is much more geared toward Turkish goods, like linens, scarfs, ceramics, tapestries, and rugs. 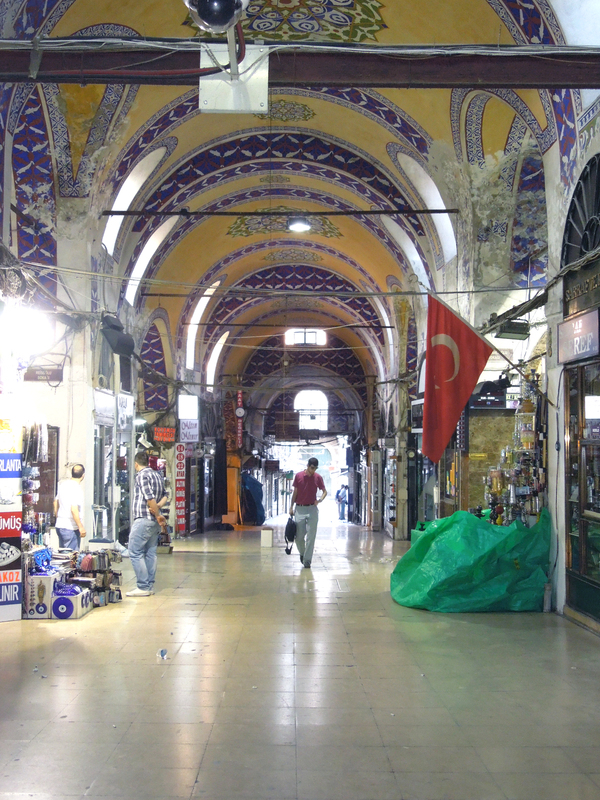 The Grand Bazaar is one of the biggest covered markets in the world, and has been around since the 1400’s. Sadly we were mistaken about what time was closing time, so we got there just as most of the vendors were closing shop. 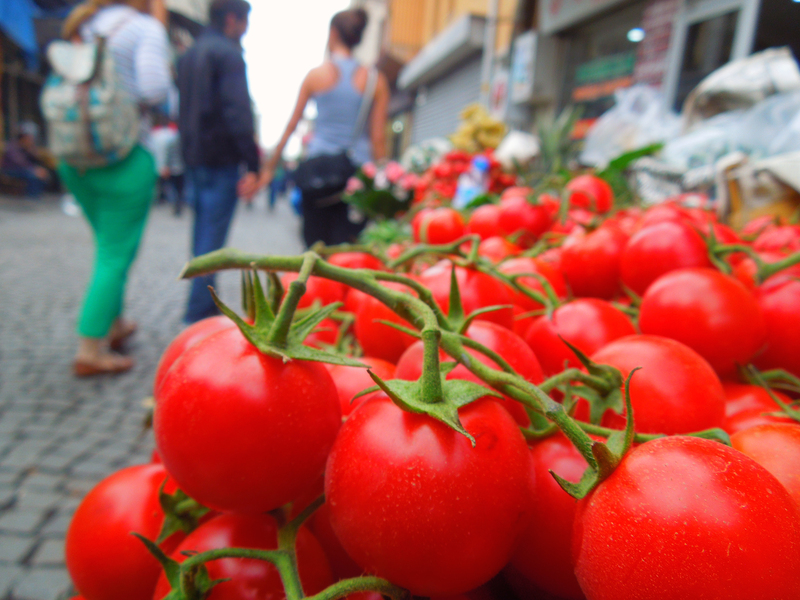 But with the sheer number of vendors that had shops there (somewhere around 3,000), you can imagine how crowded it must be during the day! 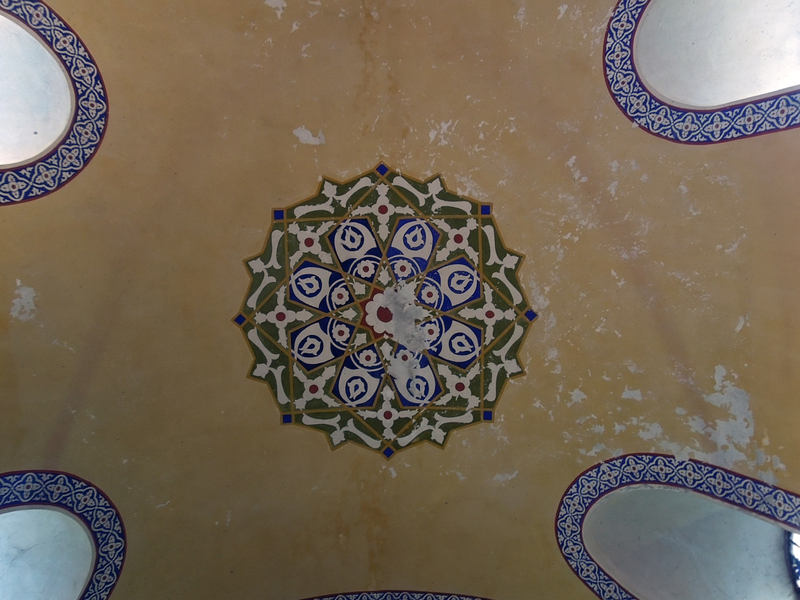 On the plus side, with the lack of crowds, we were able to take some time to look at the architecture and decorative details of the place. It was a huge space! 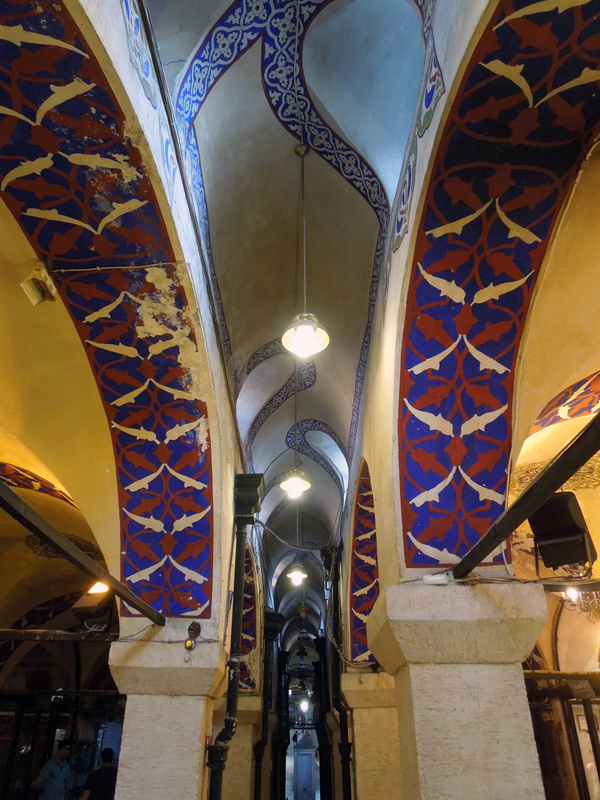 Each hallway seemed to go on forever, and all of the arched corridors were beautifully painted. 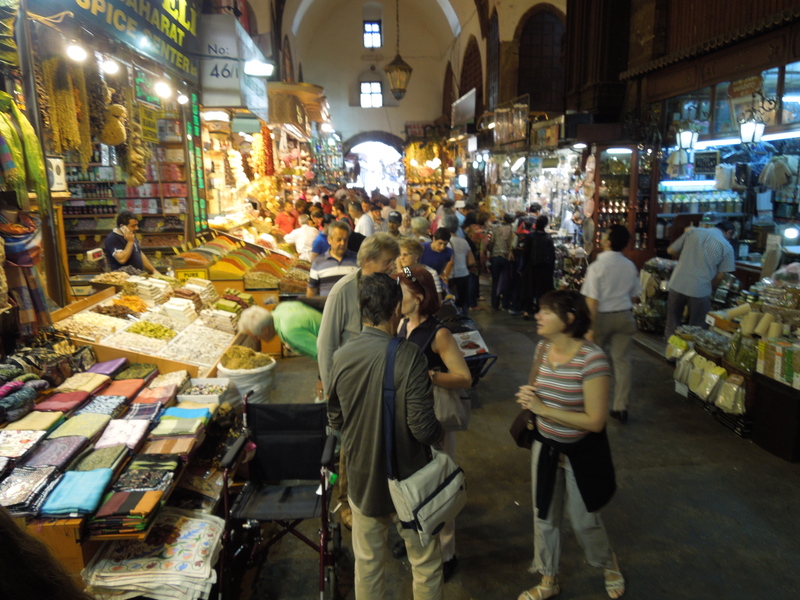 Of all the markets we came across, I think my favorites were the unexpected vendors that set up shop on carts, sometimes pushing their way into crowds in search for business. 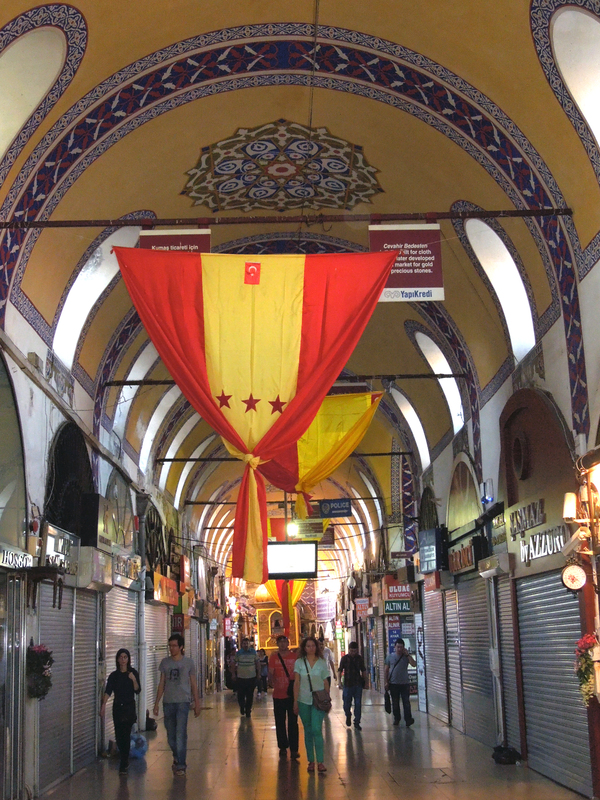 Even though much of the city seems to be built of stone, these markets provided delightful bursts of color throughout Istanbul. 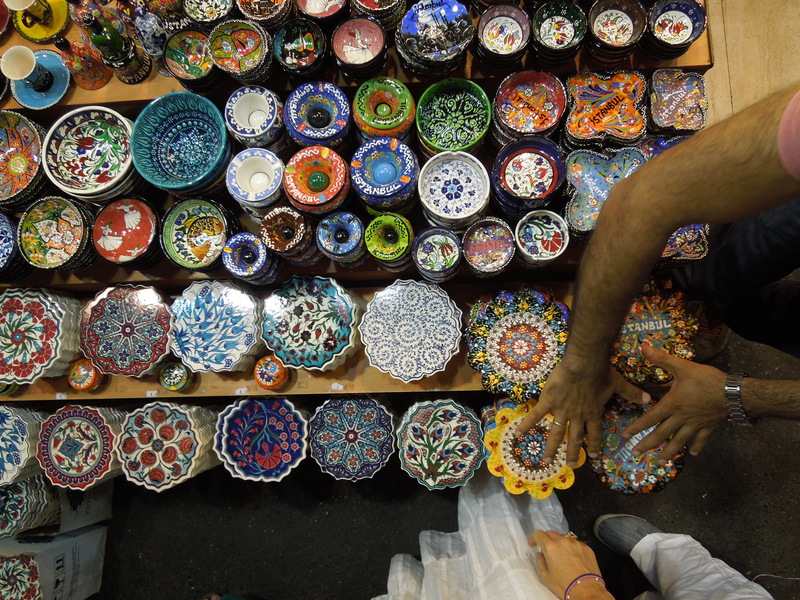 What is your favorite find from a bazaar or market? 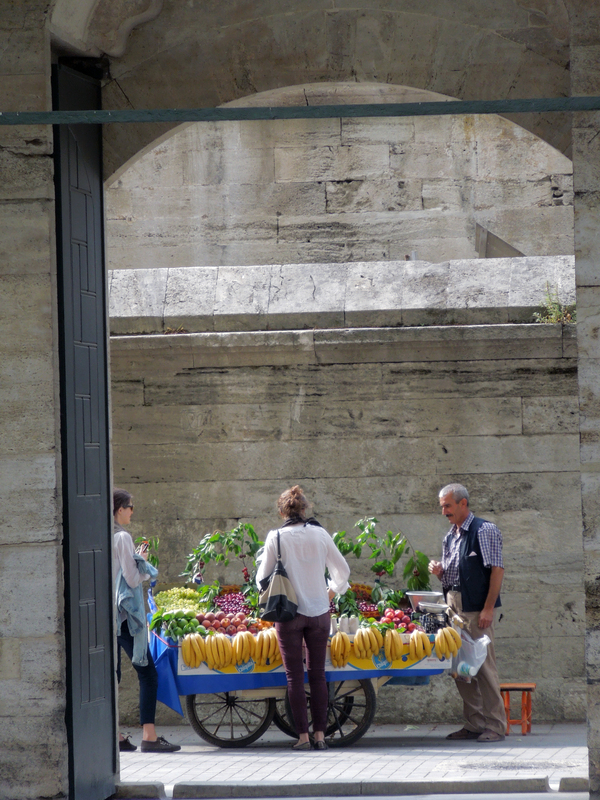 This entry was posted in Design, Food, Travel and tagged #anecdotalgoat, #architecture, #farmersmarket, #fruitmarket, #grandbazaar, #Istanbul, #spicebazaar, #travel, #Turkey, #vacation. Bookmark the permalink.